Take care of your skin and everything else will fall into place! No time for locking yourself in your bedroom and crying about your acnes! Your skin looks younger and beautiful. Now you can remove your wrinkles with anti aging treatment. Stop using the beautifying apps and get hold of natural fairness! Make this "wave" a new friend of your skin! For the best and the most awaited day of your life and beyond! SkinSight is Ahmedabad, India's premiere Laser, skin, hair and health care center. Skinsight providing finest skin care and cosmetic services that science and technology can offer. Led by highly experienced dermatologist, Cosmetologist and trained therapist staff and take great care of all your skin requirements like Laser hair reduction, Acne treatment, Pigmentation , Skin Rejuvenation, Anti Ageing, Skin Tightening, Pre Bridal skin care , Slimming, Skin care treatments. We are having world best and latest USA FDA approved LASER technology. Visit us once, to experience the difference in service quality and accurate results. Treatments at affordable prices without compromising in qualities. Right steps and techniques that work effectively to provide skin damage repair and younger looking healthy skin. Treatments for maintain optimal skin health . As we grow older, the loss of volume around the eyes reduces the youthful appearance and gives our face the fatigued look that makes it difficult to hide age. 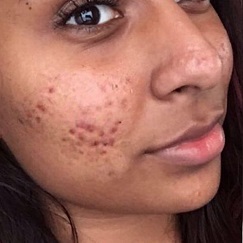 Acne is a common problem for many people. It is more common for teenagers and women because of the hormonal changes which will promote your oil glands produce more oil than normal. SkinSight derma stem cell therapy is a 6 step therapy that cleanes, protects, hydrates , repairs , moisturize and nourish your skin. © 2016 SkinSight Clinic All rights reserved.